But there are more powerful forces at play in the universe than quantum entanglement and buttercream frosting. 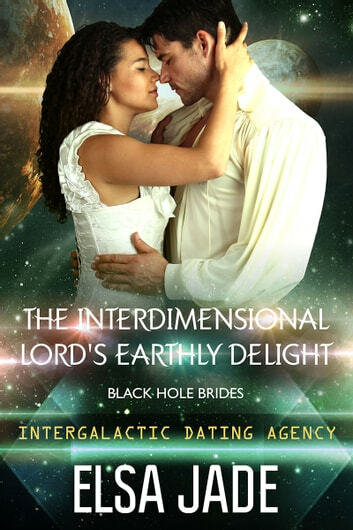 And Lishelle, who has always kept a piece of her heart locked away, will have to open herself—mind, body, and soul—to the chance of a love bigger than galaxies, deeper than space, and more consuming than any black hole. I love this series and they just seem to keep getting better. Enjoy. I really enjoyed reading this story! The twists and turns are great! Lishelle had a bad divorce. She just wanted to get her life back on track when she was kidnapped by a cruel alien set on kill her and other women but never fear she was saved already before this book lol. One of the other women is having a wedding and she is on the station helping out. Tynan is a mystery man who showed up out of nowhere. Not telling more it will give the story away. Action packed , great characters and lots of twist and turns. Really a fun read. Syfy fans should love it. Voluntarily reviewed a copy and I honestly enjoyed it.